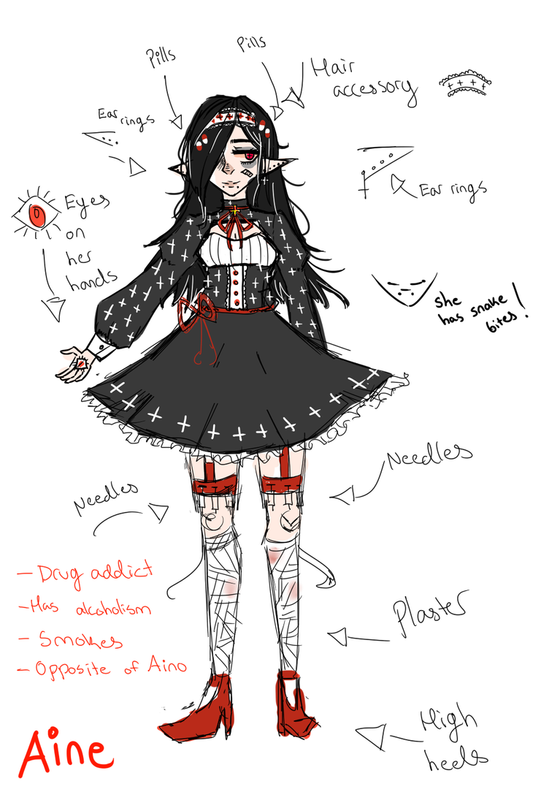 She's the "sick" and devilish version of Aino Erufu. Aine is a whole different person, and she has alcoholism, and she's also a drug abuser. She smokes too. 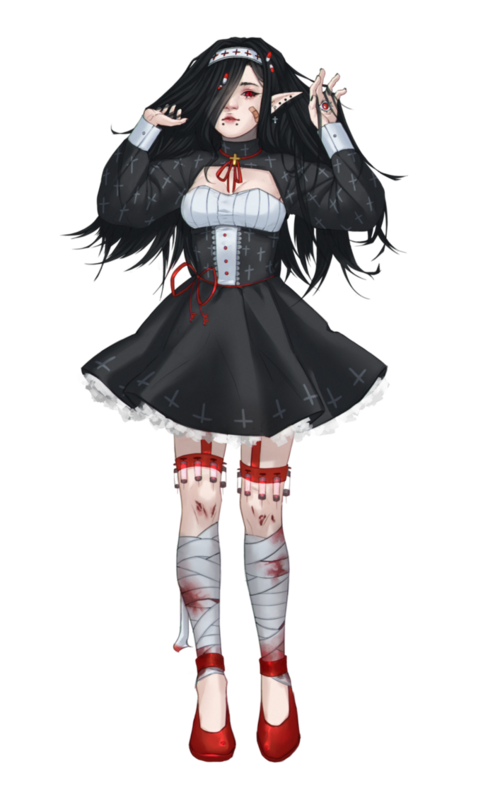 Her personality is very mixed ; she tries her hardest to keep her friends around her, it being almost entirely impossible due to her tendencies to ruin all of her relationships. She gets angry very easily and she's very antisocial ; she hates social interactions with a huge passion. When she's bored, she may feel like whining to her hands' eyes (see the reference), but she's the only one who sees them due to her being "sick from her mind".